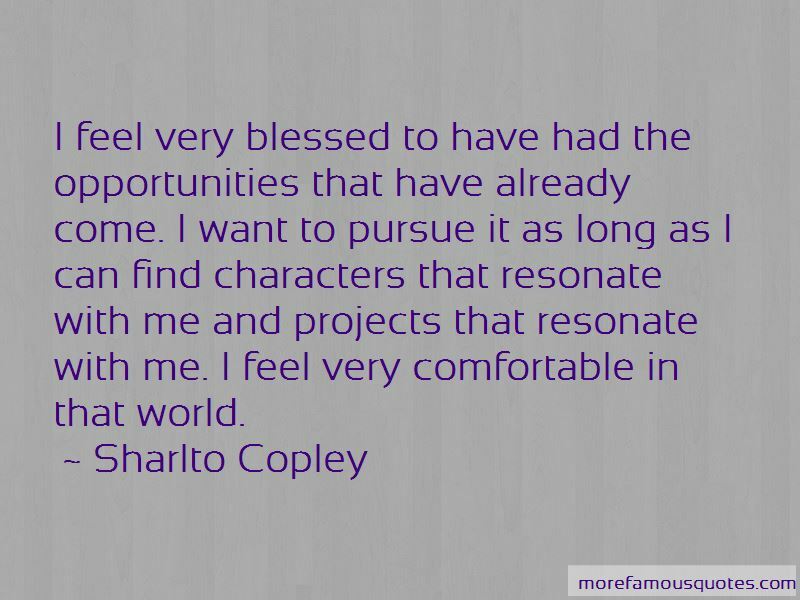 Enjoy the top 32 famous quotes, sayings and quotations by Sharlto Copley. I walked out of ... was it 'Stardust?' That thing with the witches? I was so looking forward to it, but I just couldn't handle it, man. Ten minutes in, and I was gone. I didn't have to walk out of 'Transformers 2' because I didn't go. I loved the first 'Transformers.' I loved it, but I heard too many of my friends walked out of the second one. I always find the more you can draw on real life characters, people, situations, it works better. Certainly for designing a character, I prefer to draw on real people rather than other guys I've seen in movies, rather than 'here's my version of Clint Eastwood' or whoever. I'm a huge fan of Dustin Hoffman. I feel so comfortable in an acting role, you know, as an actor. Maybe it's because I came into it late. If anything, I've felt frustrated that I can't carry a film because everything since 'District 9' has been supporting roles. I'm not interested in going to casting after casting, trying to get into that game. So there is a part of me that knows that I will do more characters, even if I have to produce those projects myself to get those projects out there. If the right characters come along, I would love to. I would jump at the chance. In America, people really struggle with my name, so I don't have a nickname as such. I've had Sharlito, Sheldon, Charldo, really interesting variations on the name. Some of them can get it, but many can't. There are a lot of people that have marginal powers, like a guy who levitates a little bit off the ground, or someone who can breathe a little bit of fire, or someone that can freeze a little bit of something, if it's really close to him, you say, "Well, what do you do with that? How is that useful?" 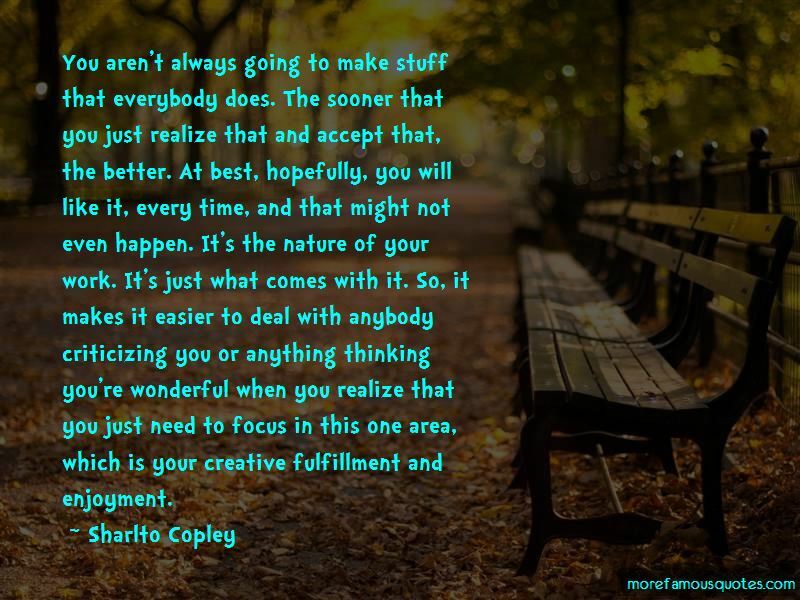 There is so much of it around you and you're seeing it, it becomes the important thing in society. I feel very blessed to have had the opportunities that have already come. I want to pursue it as long as I can find characters that resonate with me and projects that resonate with me. I feel very comfortable in that world. 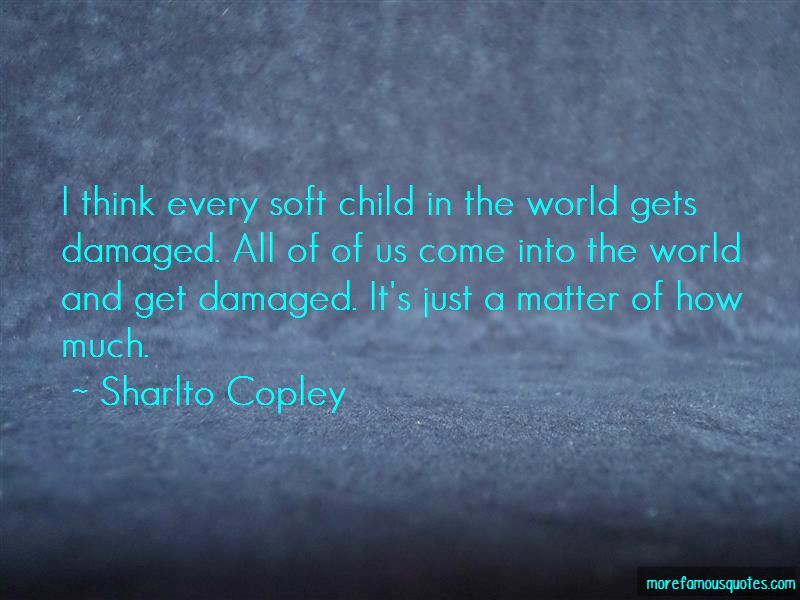 Want to see more pictures of Sharlto Copley quotes? 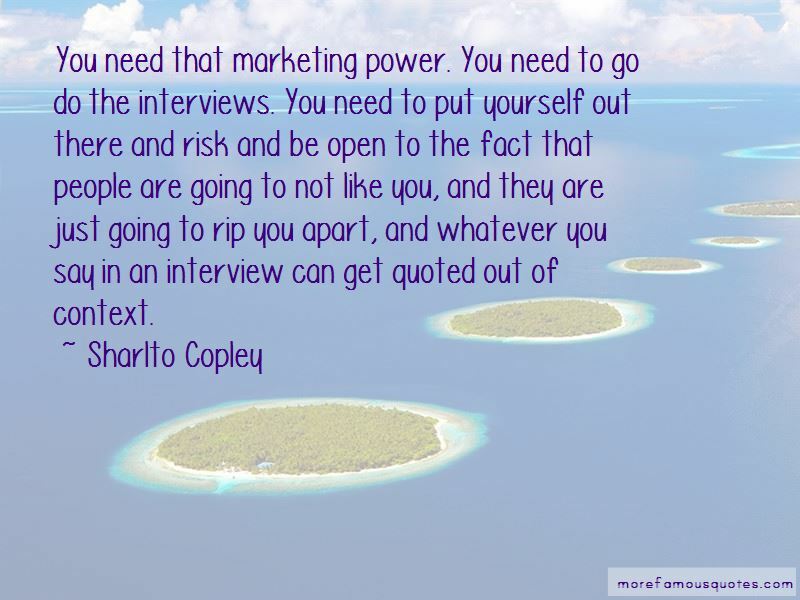 Click on image of Sharlto Copley quotes to view full size.